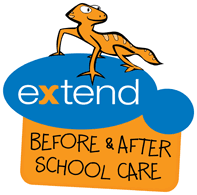 The Extend Family:Our mission is to provide opportunities that kids should have. We are people focused on providing excellence for our children, families, partnered schools and employees across our family owned National network. About the Role:We're setting the bar high. We're seeking a hands-on educator with a can-do attitude, a penchant for providing quality programs for children, which are safe, fun and with educational value. Someone who can develop positive professional relationships with families, school leaders and their communities. Support with overall planning cycle to capture every child’s learning and development by managing observations, documentation, planning, implementation and reflections. The responsibility to ensure activity stations and allocated spaces are organised, promote competence and supports children to explore and engage in play-based learning.General Work Hours:Monday – Friday Before School Care 7:00am-9:00amAfter School Care 3:00pm – 6:00pmPerks for working at Extend:Work-life BalanceCareer DevelopmentProfessional GrowthGenerous AllowancesCommunity EngagementEngaging Team and Supportive ManagementReward and Recognition Social OpportunitiesYou must hold minimum:Certificate or Diploma in Children’s Services (or studying towards); orBachelor/Masters in Primary Education or Early Childhood Studies (or studying towards) or equivalent – check ACECQA for full list of approved qualificationsA current Employee Working with Children’s CheckLevel 2 First Aid, Anaphylaxis & Asthma Management Training, or willing to obtainChild Protection Training, or willing to obtain. If you think you’ve got what it takes to make a difference in the quality of life for many, then we would love to hear from you! Just click on the link to Apply!